Take the bus from the parking lot to the estate to view this gorgeous national landmark. Reserve tickets for one of many tours at this incredible museum so your guide can provide a fascinating and exciting experience. Weddings, corporate events and parties are all specialties of this premier Sonoma County caterer. Planning is key and this company will assist you every step of the way. Menus focus on fresh, local ingredients prepared and served by attentive staff. 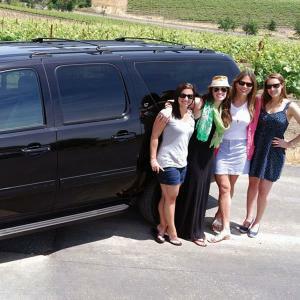 Full service wedding planners located in the incomparable Sonoma Valley. From venues, food, flowers, and even hair and makeup services, everything will be taken care of for you by these seasoned professionals. Beautiful indoor or outdoor settings for your wedding and reception. Includes set-up and take-down of our banquet and round tables, chairs, use of bar glassware, PA system and dressing rooms for bride and groom. Have a lovely day!